I finally had some time on my hands (read: none, because it's exam period in the 'hood) and created this outfit post for you. I must admit, outfit posts are my favourites (besides food&fitness related posts). I also created a little surprise giveaway for you, which...Keep on scrolling! How can you participate in the giveaway? 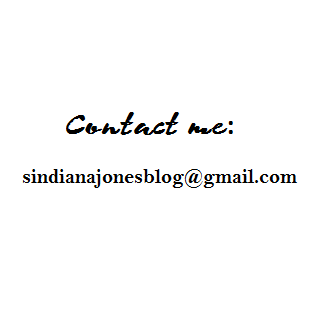 All you have to do, is like the page Sindiana Jones Blog on Facebook and leave me a comment here on blog, that you liked it and tell me, what do you want to read about next on this blog(beauty, fashion or food&fitness related stuff, some 'hacks', tips,..). Kako lahko sodeluješ v 'giveawayu'? Vse, kar moraš storiti je, da lajkaš stran Sindiana Jones Blog na Facebooku in mi to tukaj na blogu napiši v komentar. Napiši mi tudi, o čem bi rada brala v naslednji objavi (lepota, moda, hrana, fitnes, kaki nasveti, triki,...). Tudi jaz ti že en čas sledim. Brala pa bi rada kaj o prehrani, ličenju in ootd. Facebook imam všečkan. Rada bi brala o tvojih ˝haul˝-ih,˝makeup˝-ih,˝life hacks˝-ih. Zanimalo bi me pa tudi kakšen ˝DIY˝ post. Zmagovalke? kaj pa zmagovalca? :S svadim!